Harald Herzl received his first violin lessons from his father at the age of five. Later he was accepted into the Mozarteum Academy of Music in Salzburg, Austria, where he entered into Sandor Vègh`s master class in 1973. In 1980 he completed his studies at the Mozarteum, and received a Ment Award from the Austrian Federal Ministry of Arts and Sciences. On the advice of Sandor Vègh, he founded the Pro Arte Quartet, which gained prizes at competitions in Helsinki (1978) and Hanover (1981). The quartet trained under the Amadeus Quartet at the Academy of Music in Cologne, and embarked on a distinguished international career. Successful concert tours took them to the principal European music centres and festivals, including Vienna, Budapest, Paris, London, Berlin and Athens, and in 1989 also through Israel. Their noteworthy debut at the 1991 Salzburg Festival was followed by numerous performances in the Salzburg Mozart Festival as well as in the Musikverein in Vienna. The conductor Raphael Kubelik dedicated his 5th String Quartet to the Pro Arte Quartet. Harald Herzl has appeared as soloist with the Mozarteum Orchestra Salzburg under Heinz Wallberg; and has made numerous radio and television recordings in the Salzburg Mozart Festival. He has an exclusive contract with BMG/RCA Victor, for whom the quartet has recorded the complete quartets of Mozart. Since 1981 he has held a teaching post at the Mozarteum Academy, where he become a professor in March 2000. Since this time, he has accepted invitations all over the world as a chamber musician and as a soloist. And has given numerous masterclasses and participated as jury member of international competitions in Germany Italy Norway, Japan and China. 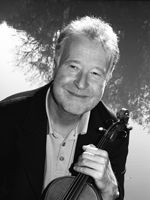 Since 2004 he has served as the chairman of the string department at the University of Mozarteum. Herzl plays a violin of Joh. Battista Guadagnini 1777 on loan from the famous collection of the Austrian National Bank.